Shall I stream some LunaLua live development? I am pretty sure, that table elements are seperated by colons ",". both are working I dont know why but about table is there a way to do like table replace instead of remove ? * Bugfix [LunaLua]: Fixed the bug, where the functions Blocks.get and Blocks.getInterseting don't includes the last block. @Kevsoft, Is there a way to get the mouse position like in the level editor ? or if not can you in a future update to get this feature possible ? Feeling the same. Because I have to redesign some core LunaLua parts which eats my time. But you have to keep doing it. Lotus006 wrote: @Kevsoft, Is there a way to get the mouse position like in the level editor ? I add that to the wishlist, but don't expect that feature to come too soon. LunaLua v0.7.3 is finally released. I apologize for the long waiting, but there where a lot of critical changes in this version. Please make sure that your CC12 level is working with this version! * Custom images can now be drawn behind SMBX sprites. * Improvement [LunaLua]: onHUDDraw and onCameraUpdate now has the camera index as argument. * Added FIELD_BOOL which can be used for the mem-functions. * Added NPC.get overload with only the npc-id as argument. 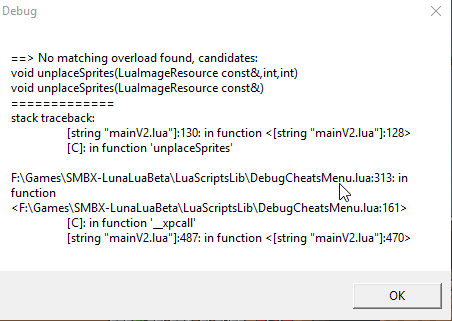 * Bugfix [LunaLua]: SMBX doesn't crash anymore, if you pass nil to some LunaLua functions. * Bugfix [LunaLua]: Tiles can now correctly be replaced with PNGs. * Bugfix [LunaLua]: Cheat defines now don't reset. * Added registerCustomEvent, so you can create custom events from your APIs. * Added event onCameraUpdate and Camera.x, Camera.y is now writeable. * Added a lot of new world map classes. * Added Misc.doPSwitchRaw - You can now trigger the raw P-Switch effect. * Added Misc.doPSwitch - You can now trigger the full P-Switch effect. * Added Misc.doBombExplosion - You can now spawn bomb explosions. 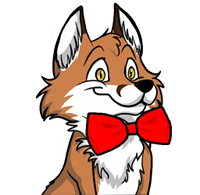 * Bugfix [LunaLua]: Misc.resolveFile and Misc.resolveDirectory don't crash anymore and works faster now. 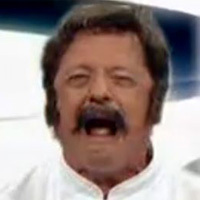 * Bugfix [LunaLua]: Some unreliability of Animation.spawn has been fixed. * Bugfix [LunaLua]: Misc.loadEpisode now works also without Autostart ini file. * Added onStart - This event is the better "onLoad". This event will be executed, when SMBX is running the first frame. * NPCs can now be killed, even if they are hidden. * Add width/height properties to LuaImageResource. * Allow onNPCKill to be cancelled. You know NPC defeat cancellation? Can this be changed so that there are new NPC codes that you can put in .txt? This would be convenient so I can pack these with my graphics. am I doing something wrong, or has Autocode been removed? Autocode has been deprecated but it does still work. Professor Moriarty wrote: am I doing something wrong, or has Autocode been removed? Just kept for compatibility with exists stuff. This part is no more takes updates. However, a quick guide to migrate from Autocode to Lua but keep same logic. Lua is much more flexible and embeddable language with wide community and usage purposes. Autocode is even not a Turing-complete language which lacks a lot of many common features.